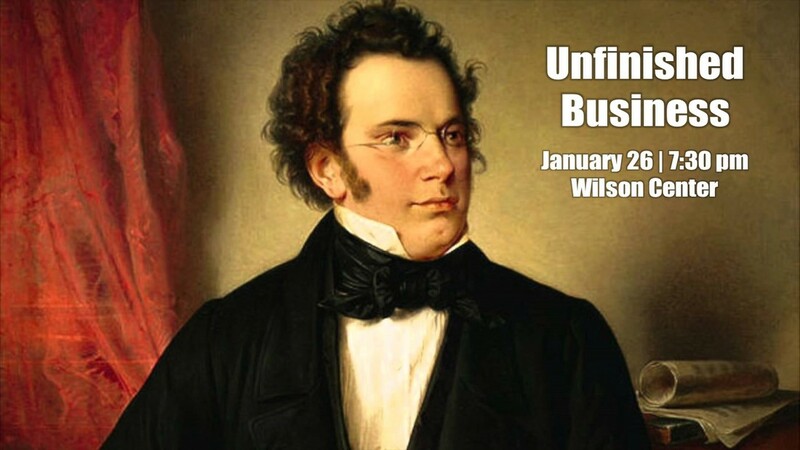 The Wilmington Symphony Orchestra’s 2018-19 Masterworks Series continues with “Unfinished Business” on January 26 at 7:30 pm in the Wilson Center. The program includes Schubert’s Symphony No. 8 in B minor (commonly referred to as the “Unfinished Symphony”), and performances by the winners of the 2018 Young Artists Concerto Competition, vocalist Tanya Hanano and cellist CJ Tyson. Ms. Hanano will perform Mozart’s Parto, ma tu ben mio, and Mr. Tyson will perform Elgar’s Concerto in E minor, Op. 85. Tanya Hanano (vocalist) is a junior at UNCW pursuing a B.A. in Music, where she is a student of Nancy King and a recipient of the Henriksen Scholarship in Music. As a member of the UNCW Opera Outreach Project (WOOP! ), she has performed in operatic scenes as Queen of Fairies in Iolanthe, Baba in Menotti’s The Medium, and most recently, created the role Auntie Malka in Meira Warshauer’s new children’s opera Elijah’s Violin. Tanya is also a member of the UNCW Chamber Choir, recently appearing as the alto soloist in Schubert’s Ständchen and Brahms’s Zigeunerlieder, and traveling to St. Pölten, Austria this past February for the Laudate Dominum Music Conference, where she performed as alto soloist in Vivaldi’s Gloria, under the baton of Erwin Ortner. 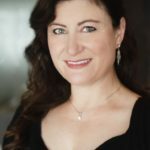 She has appeared for four consecutive seasons as an ensemble member of Opera Wilmington’s productions of Die Fledermaus, Carmen, Così fan tutte, and Rigoletto. Tanya also works full-time at New Hanover Regional Medical Center as an acute care physical therapist, and is the alto section leader at St. Paul’s Episcopal Church. CJ Tyson (cellist) is a senior at Ashley High School. He began playing the piano at 3 years old and transitioned to the cello at age 9. He studied with Ms. Jessica Embry for five years and has been a student of Mr. Jake Wenger for the past four years. His summers have been spent studying music and cello at Interlochen School of the Arts and The Hayes School of Music. 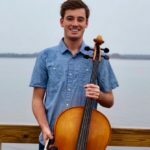 He is currently the principal cellist in the Wilmington Youth Symphony Orchestra and the Ashley High School Chamber Orchestra. CJ performs in the Wilmington Youth Symphony String Quartet and the Stevenson Stohl Tour Group. He also began teaching cello lessons at age 15. Aside from music, CJ loves to play lacrosse and is currently the co-captain for Ashley’s varsity lacrosse team along with being Ashley’s student body president. He will be attending Duke University in the fall majoring in music and mathematics.